← Heading to the RI beaches this summer? Even poets get the blues on August 9! Remember last winter? This fall, get SNOWBOUND WITH ZOMBIES! 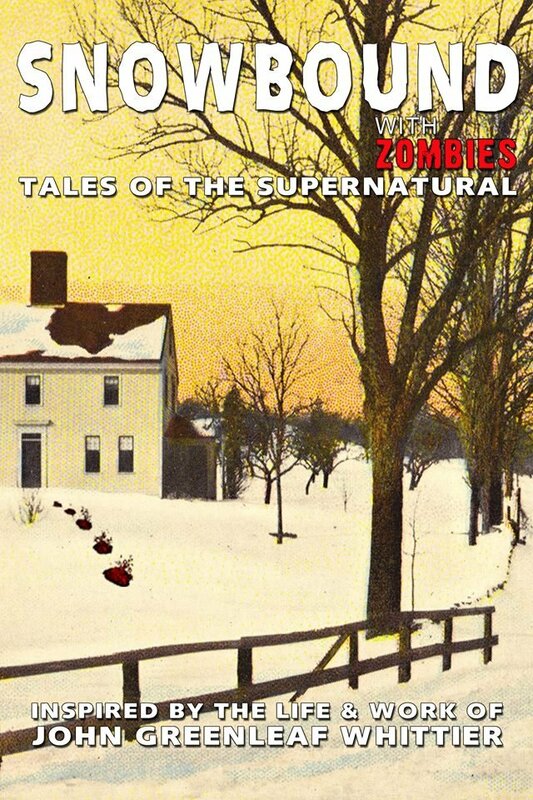 In November of 2014, I had the honor of being invited by David Goudsward to submit a short story to an anthology called Snowbound with Zombies: Tales of the Supernatural Inspired by the Life and Work of John Greenleaf Whittier. Whittier, a poet and famous abolitionist (who was roughly a contemporary of Mark Twain), was most famous for his nostalgic poem Snowbound, but he had a darker side, too; it was this which Goudsward wanted to showcase. All proceeds will go to the 1727 Whittier Homestead in Haverhill, Massachusetts, where the poet spent his early years. What was special about being part of a project like this was that each writer got to choose a tale or poem as inspiration for his work. I chose “Telling the Bees” and titled the story “Shreds of Black,” which refers to a specific line in the poem (it’s more than that, but I don’t really want to give any more spoilers). New England farms had a rich history with beehives, and along with that came much in the way of superstition and folklore (I’d elaborate here, but if you’ve interest, this paper is well-researched and gives much more detail; I highly recommend you take the time and read it). “Telling the Bees” was more than likely inspired by the hives on Whittier’s farm. There are plans for an opening reception in September (I have more details than that, but until they are confirmed I’m not going to publish them), and my holiday chapbook mailing this year just might be a teaser for “Shreds of Black” accompanied by photos of the story’s settings. You can learn more about Snowbound with Zombies here. Below, some video of the old “hives” (probably used only for illustrative purposes, as school groups visit frequently). Below, activity at the new beehives placed on the Whittier Birthplace Museum property; it’s my understanding they hope to get the small orchard producing again. These hives contain approximately 30,000 bees each, according to our guide. This footage was shot when Nathan and I visited the museum on May 16, 2015. Posted on July 30, 2015, in Horror Stories, News, Short Stories and tagged beehives, benefit anthologies, Christopher golden, David Goudsward, Gregory L. Norris, haunted house stories, Haverhill MA, John Greenleaf Whittier, John McIlveen, Karen Dent, Morven Westfield, poet museums, Roxanne Dent, Snowbound, Telling the Bees, Whittier Birthplace Museum. Bookmark the permalink. Leave a comment.